When you shop at Red Dog, you get full access to Team Red Dog. We’re biased, but the Team is made up of some pretty great folks. We hear that sentiment time and time again from our customers who know them by name and come back for Wine, spirits and Beer advice. 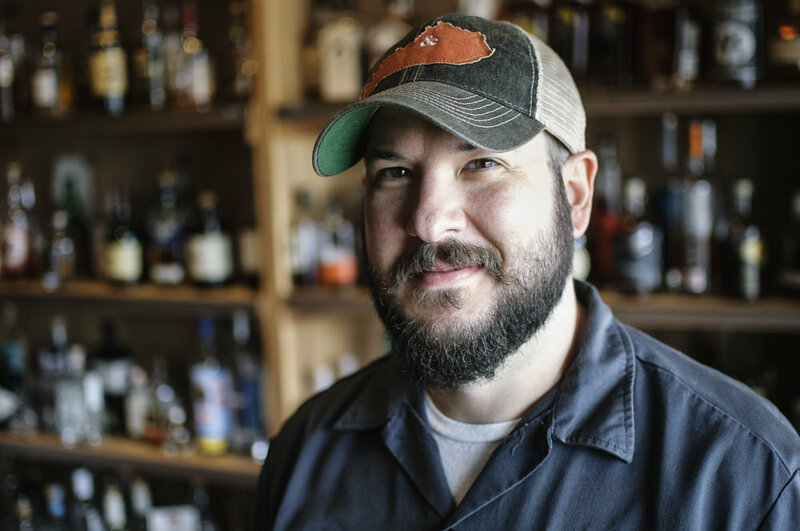 Specialty: Bard found his way to the Wine and spirits business through his love of Single Malt Scotch and brought that love into Red Dog from day one in 2001. 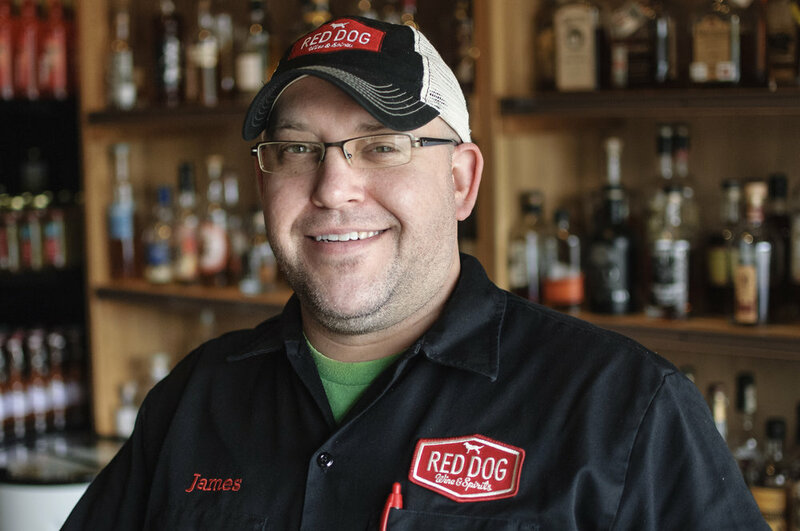 Since then, he’s built Red Dog’s single malt options to over 300, one of the largest selections in the Southeast. He’s also passionate about finding new brands of Wine and spirits and working with distributors to bring them Tennessee. What he drinks at home: Varies with the seasons and food. During the late spring and summer, he likes lighter white Wines like a New Zealand Sauvignon Blanc or French Sancere and Gin & Tonics. He’s partial to Death’s Door Gin. In the fall, he moves to red Wines and is a sucker for a good Barolo, well made Pinot and Zinfandel. In the winter, he enjoys peatier Single Malts from the Highlands, heavier Beers, and a good tawny port. Time at Red Dog: Bard opened Red Dog Wine and Spirits in 2001. Favorite part of the job: The customers! He loves helping find the right Wine for a dinner party and bar planning for events. He also enjoys trying new products (hey, it’s a tough job but someone has to do it!) and working with the Team to find the perfect new arrivals for Red Dog’s customers. And he will stop whatever he’s doing to help a Scotch hunter. Fun Facts: Even though he went to Vanderbilt, he roots for Tennessee (unless they are playing Vandy). Specialty: Brian is Red Dog Wine and Spirits’ Jack of all trades. He can be found doing anything from helping customers, to writing the weekly email newsletter, or fishing out a clogged drain. What he drinks at home: Brian enjoys sipping a good Whiskey. As far as wine, he enjoys Spanish Reds and earthy European Wines, as well as, Rose. He also loves Sour Beers. A man of many sides. Time at Red Dog: He’s a Red Dog boomerang. He worked here during college and returned in 2010. Favorite part of the job: Like any good Wine Store employee, Brian enjoys recommending a good Wine and/or Whiskey. The best part? When a customer comes back raving about his recommendation and either buys it again or asks for another suggestion. Pet: Bella, a lovely Boxer rescue who is hearing impaired. He’s working with her and expanding her knowledge of sign language commands. Fun facts: Brian has a BFA with an emphasis in sculpture. Naturally, he enjoys sculpting in his spare time. Ask him about some of the awesome masks he’s made! Oh, and he and Kevin are brothers. Specialty: James knows all things related to Wine and Spirits! He can talk vineyards, breweries, style and new arrivals and give recommendations to all shoppers. What he drinks at home: Aside from big dark stout beers, James enjoys a California Cabernet that will take the enamel off your teeth without enough age or the right meal. He also enjoys a juicy Shiraz, as well as, Añejo and Reposado Tequilas. Time at Red Dog: Since the beginning in 2001. Favorite part of the job: James enjoys introducing customers to new and exciting flavors as well as recommending time tested favorites. He loves sharing his knowledge and teaching customers about great wine, beer & food pairings. Fun facts: James is quite the family man. He really loves a good movie night with his beautiful wife and two kids (and a glass of good Wine). Specialty: Kevin is the Wine Manager and has a particular love of Italian wines. He does a great job of picking quality products that go beyond ratings and across price points. What he drinks at home: Kevin drinks mostly wine at home...all kinds. Time at Red Dog: Since 2003. Favorite part of the job: Kevin enjoys finding new wines for the store and helping customers pick the right wine for every occasion. Pet: Kevin has 3 dogs. Gerty and Ruby the Pitbulls, and Zoey the Chihuahua/Rat Terrier Mix. Guess who the alpha is in that pack?! Fun facts: Kevin loves to cook for his wife and two daughters. Specialty: Sammy came into Red Dog knowing mostly about beer, some about liquor and nothing about wine. However, during his time at The Dog Sammy has become pretty dang proficient in all areas of the store. What he drinks at home: What doesn’t he drink?! If he’s out, Sammy enjoys an IPA. At home Sammy can more often than not be found popping the cork on a delicious Spanish red wine or mixing up some crazy gin concoction! Favorite part of the job: Sammy loves getting to learn about and taste new wines, and teaching you about them! Pet: Sammy has a spunky, adorable, awesome Pit Bull named Banjo. Banjo was found walking the streets when Sammy found, and took him in. Fun facts: Several years ago back in Virginia, Sammy was hit by a deer…While walking. Want the full story? Ask him, he’d be more than happy to share! Specialty: Beer! Specifically IPAs, Pilsners, Sours, and Belgians. What he drinks at home: Preston’s go to brews are IPAs and Sours, but he’s always more than willing to try a new wine or bourbon. Favorite part of the job: Finding the perfect beer according to the customer’s taste preferences, and pushing them to try something they normally wouldn’t. Sometimes Preston likes venturing outside the beer world into wine, whisky, and gin, but that can be scary. Beer is a safe place. Fun facts: Preston is from Texas, and you'll probably find him rocking out at a show if he isn't at Red Dog. Specialty: Lana has a strong background in home brewing, which means she has a lot of friends and loves talking about craft beer! When it comes to wine, she will drink bold reds all year around. What she drinks at home: Farmhouse ales & IPAs! She loves supporting local breweries as well. Her favorite wines are bold reds and dry roses from Washington State and Provence! Favorite part of the job: Preaching the good word of craft beer to those who will listen! She enjoys the challenge of pairing your meal with wine or beer and hopes you will let her know how it went! If it was a success, share with her the recipe. Fun facts: Lana enjoys home brewing, yoga,cycling, & watching horror movies. Her favorite holiday is Halloween! Years on job: Born in January 2011, Bacchus made his way to Red Dog at the age of 8 weeks old. He’s a fluff ball who grew into his role as “top dog.” He had very big paws to fill and for a long time had to hear about his big brother Dell daily from customers and management alike. Primary Roll: Greeting customers, Finance, Sales, and Marketing with quite a few naps in between. Each morning he alerts management that it is time to go to the bank. His financial responsibilities included taking the money bag to and from the bank (quite literally, he carries it to and from the car). His sales role involves buttering up sales representatives to give us great deals. He is also involved in Customer Retention as children ask their parents to come to Red Dog to visit him. He is definitely most folks favorite Red Dog employee!